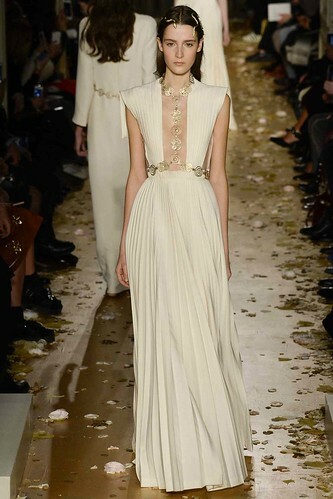 I started this post right after watching last season couture shows ending this week. I belive that twice a year, I need to scroll through the exquisite world of houses that excel in the art and crafts. 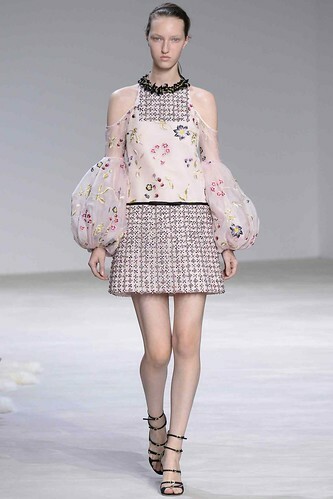 Speaking of art, Viktor and Rolf have seduced the press once again with their Cubist paintings like dresses. Their way appears distinct from the others, I wonder if their creations are made for the press and museums, or for women. Once again my heart went to Italian houses. 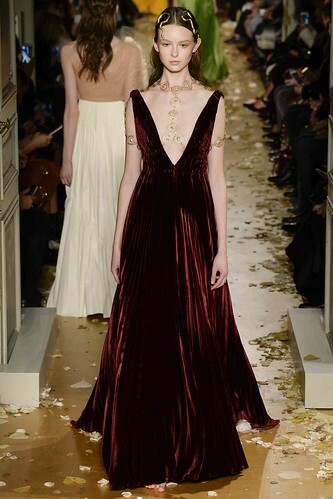 Valentino takes us to the world of luxury and voluptuousness. 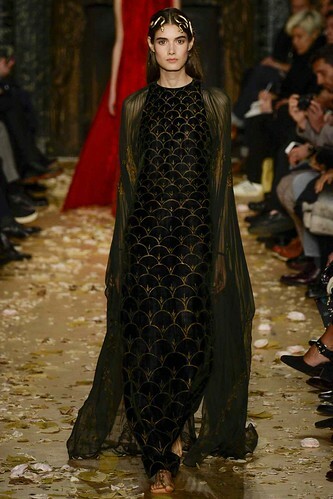 Velvet embroidered with gold, golden mesh and nymphs transparent white robes are an invitation to seduction. The snake on the head amplifies this illusion. Not so far away, Alberta Ferretti takes us in the 30s and art deco, with all the codes of the femme fatale: fur, lace and snake (again!). 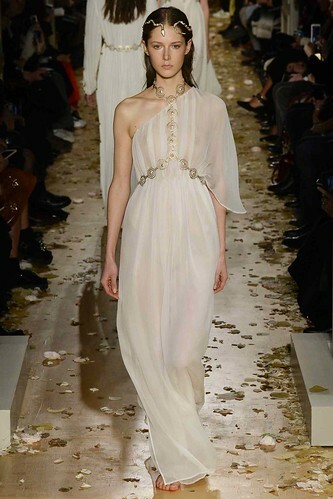 Giambattista Valli dresses are shorter and less made for the red carpet. 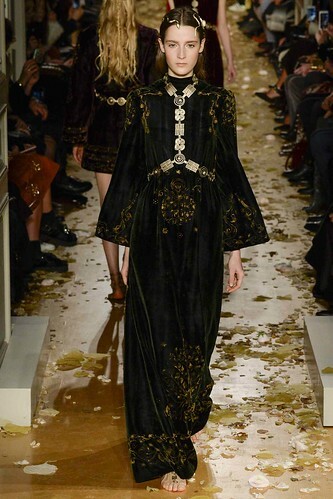 I especially like the volume of the sleeves, the colorful embroideries and the sophisticated necklines. Ulyana Sergeenko continues on her way calmly and grow in the esteem of journalists with each show. This year her collection is a mixture of deconstructed and punk military, Slavic and contemporary codes. I love the boots and the fish bags. This is my couture selection of this January 2016. Too bad I can’t read the choices of a happy few haute couture clients.